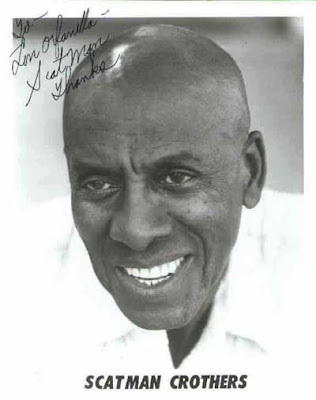 Rupert Pupkin Speaks: My Favorite Scatman Crothers films ""
Inspired by a recent viewing of the rat-attack classic DEADLY EYES, I put together a list of my favorite films from the amazing and wonderful Scatman Crothers. He, one of the great character actors of all time and of course the voice of Hong Kong Phooey himself(among other inumerable TV roles). I think I first remember hearing his wonderfully distinct voice in THE ARISTOCATS. I must have seen it in the theater in some kind of re-release. I think I had an LP of it too because between that and Hong Kong Phooey, his voice was, from then on, permanently burnt onto my mind. Scatman is one of those rare actors that always elevates anything he shows up in. His mere presence elevates. Have always been a huge Scatman fan and you know you are too! Scatman fans check out this great group of posts over at the Franklin Mint Blog that chronicle some of Scatman's Film, Television, Print, Music, Cartoon and Exploitation Film appearances. I'd have to find room for THE CHEAP DETECTIVE somewhere, and LADY SINGS THE BLUES is one of my fiancee's favorite films. 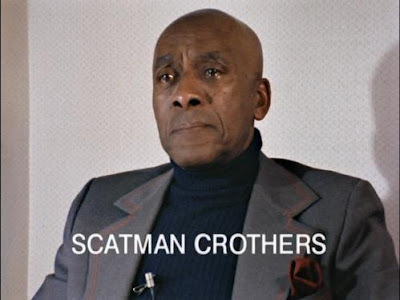 My absolute favorite film that the Scatman was part of would probably be FRIDAY FOSTER, strangely enough. I've always had a soft spot for this Pam Grier vehicle that gave her her best supporting cast pre-Tarantino. Oh dear... now I have to counter with my favorite Sleep N Eat (Willie Best) films! I had forgotten how many cool movies Scatman appeared in. 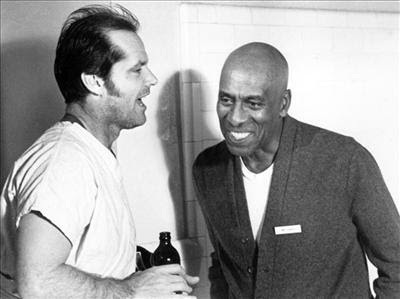 I particularly enjoy his performance in Black Belt Jones. Also, this list reminded me that Scatman and Nicholson were seemingly joined at the hip for a number of years. I noticed you linked your blog to mine. Thanks for the plug. I've since re-uploaded all the Scatman clips that were taken down by YouTube. Franklin Mint-thanks for that link! I loved your Scatman posts!